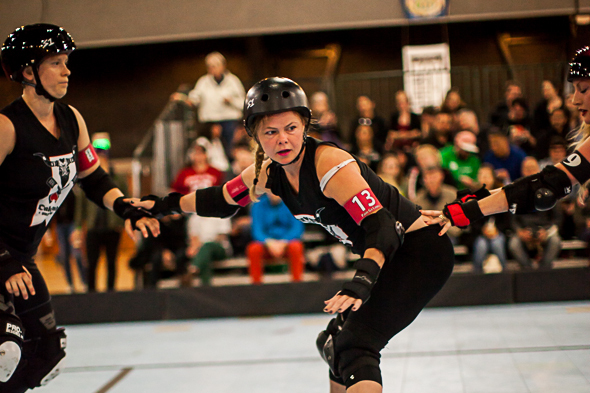 The Oakland Outlaws skated against the Berkeley Resistance in the first bout of the Bay Area Derby Girls second double header of the season. The bouts were held at San Francisco’s Armory on Saturday, April 26 2014. This entry was posted on Monday, April 28th, 2014 at 10:21 pm. It is filed under . You can follow any responses to this entry through the RSS 2.0 feed. You can leave a response or trackback from your own site.